This weekend marks a couple milestones on the road to the Drum Corps International World Championships: Virtually all of the top World Class corps go head-to-head for the first time this Saturday at DCI Minnesota and the Tour of Champions series begins! It's also when the corps start to unveil their mid-season show changes. Dan Potter has more on all of those milestones plus a side of the "Voice of DCI" you might not know. 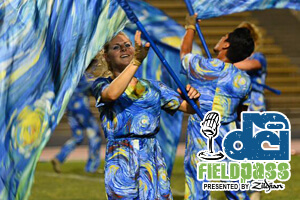 It's all in this week's full-length Field Pass presented by Zildjian.